One of my most heartbreaking memories was the Thanksgiving dinner we ate at our youngest son's in-law's home. They cut off the crispy skin of the roast turkey and put it in Joey the cat's dish. Peg and I looked at each other in disbelief. We held back screams of anguish. I don't advocate eating the browned, butter-crisped skin of a roast turkey everyday. And I wouldn't eat all of the skin myself, well not as long as someone is around with a wooden spoon to scare me away, but twice a year? Come on, now. We only have roast turkey at Thanksgiving and Christmas. Otherwise we mostly buy sliced turkey at the supermarket for sandwiches. Turkey is one of the superfoods. A search on the Linus Pauling Institute shows why. 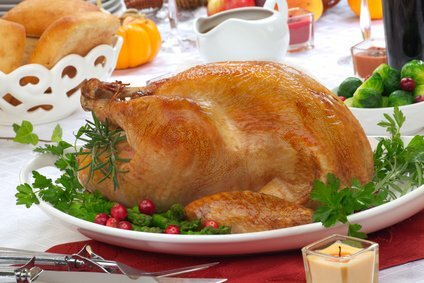 Some of the nutritional reasons for eating turkey are chromium, vitamin B12, iodine, zinc, vitamin B6, niacin, and phosphorus. Any more we don't even roast turkey. For the holidays Peg's sister cooks the turkey, while I bake a ham. 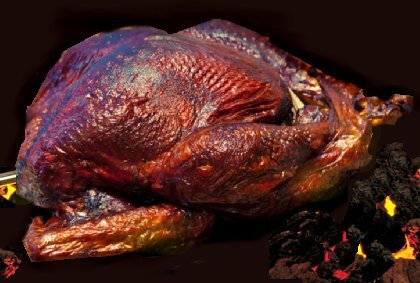 The turkey these days is cooked in a bag, which lets the turkey retain its juices, but doesn't really crisp up the skin. The traditional roast turkey prepared by my mom and my father's turkey, turned into a double turkey dinner with one barbequed. So there were two varieties of skin: buttered, and sauced. Both were crispy. I like that crunch and flavor. Today even with a large baked chicken Peg spices up the skin, but she doesn't baste the skin with butter or oil. This is probably a good thing. 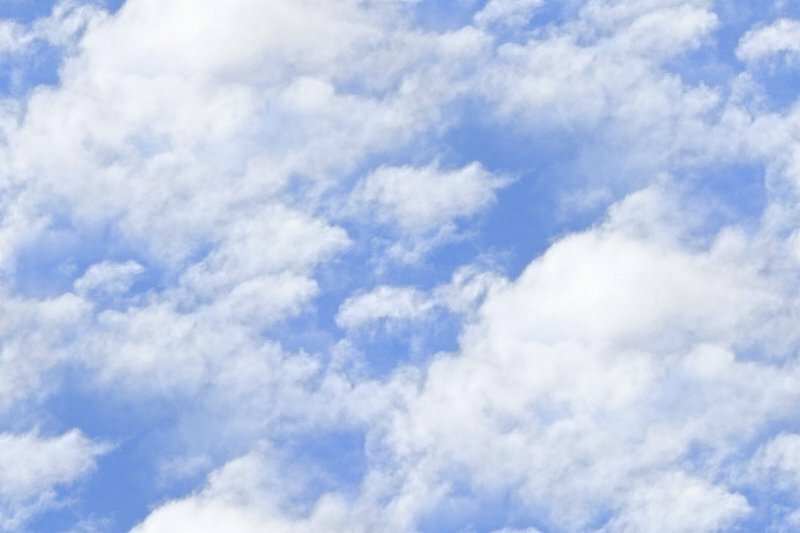 According to the National Turkey Federation, 95 percent of Americans surveyed eat about 45 millions turkeys over the Thanksgiving holiday. The birds are so big (up to 37 pounds) that turkey dinner usually means leftovers. 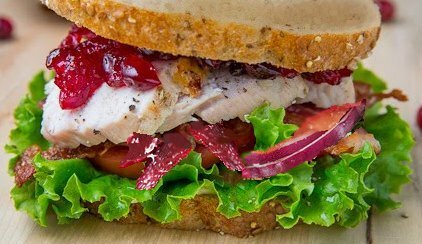 The Minnesota Turkey Research and Promotion Council reveals the top five ways to serve turkey leftovers are sandwiches, soups/stews, salads, casseroles and stir-fry. In our house we rarely get beyond sandwiches and turkey and dumplings. Turkey dinner, no matter when, usually means a combination of protein and carbohydrates. For the main meal my favorite carbs are those from dressing, or stuffing. I can do without the mashed potatoes, although I do like my yams. 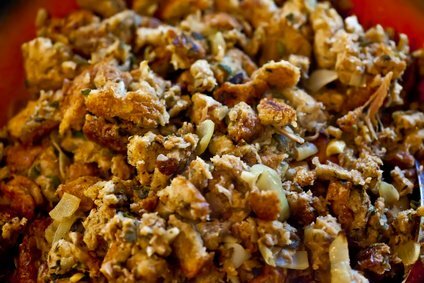 Stuffing usually has more flavors than the turkey itself. It's a great way to combine whole grains, spices, and extremely healthy vegetables like onions, garlic and leeks. Peg has suggested putting grated carrots and turmeric in her version. Unfortunately, I could eat Peg's stuffing all day . . . until I am stuffed. Luckily, as soon as dinner is finished, everyone starts the dishes and portions out the leftovers into baggies. Each person must take home a share of the bounty. As a youngster I enjoyed white meat turkey on white bread with mayonnaise. Today my tastes have matured . . . and improved. Now, I like multi-grain or whole grain bread like that baked by Roman Meal, with some dark meat, a little Dijon mustard, pickles, cranberry sauce, a pinch of sea salt, and a couple twists of cracked pepper. Actually, I'm happy these days to use pickled beets instead of the old holiday stand-by of sweet pickles. Once the guests leave, Peg takes the stripped turkey carcass and begins making a flavorful broth from it. She oven-roasts the bones for 20 to 30 minutes at 350 degrees F. After that, the browned bones go into the left-over gravy, some low salt chicken broth and whatever vegetables haven't been consumed, plus an onion and garlic. When this concoction, has reduced by half, she strains out the bones and limp veggies and stores the broth in the fridge in a two quart pitcher. One advantage to a pitcher is that the fat comes to the top when cold, and it's easy to skim off. With the broth she has the basis for a good turkey ramen soup, or better yet her turkey and dumplings. If you don't know what a dumpling is, it's a soft-moist dough placed on top of the soup or stew and allowed to cook with for ten minutes with the pot covered and an additional ten minutes with the top off until the doughy consistency is gone. 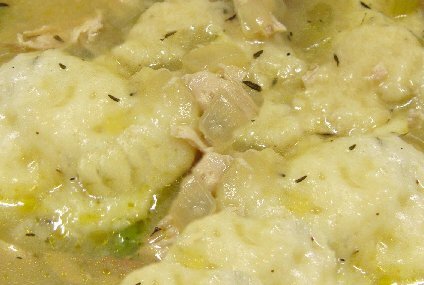 The dumplings absorb the flavors and aromas of the soup. I once ate most of the dumplings by myself, so Peg regulates my helpings, counts the dumplings, and, usually to play it safe, puts some in the refrigerator just for her for later. It's not like I can't be trusted, but on the other hand . . .
Turkey and Nutrient Rich Leftovers, nutritional benefits of turkey, turkey superfood, free nutrition content article, Healthy Aging Article, Healthy Living Article.